One of the most appealing features of trekking in Nepal is that it is possible to do so many amazing multi-day hikes independently. 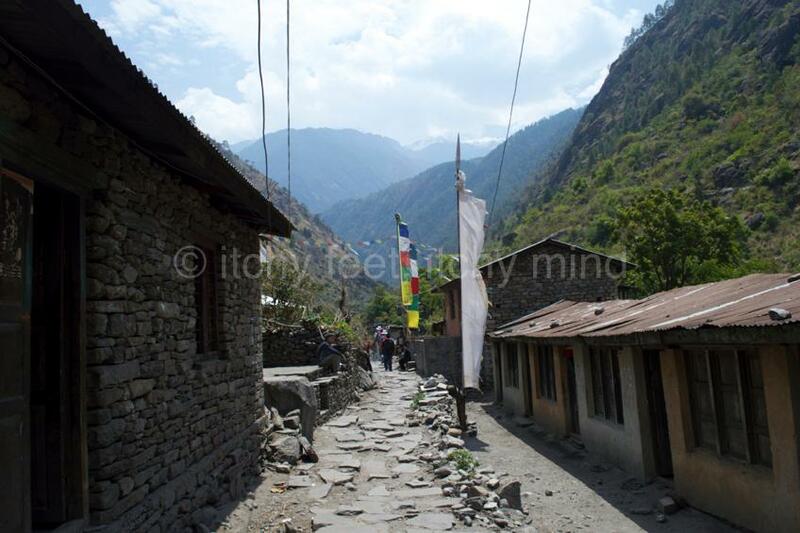 On the so called “tea house trails” there is no need to have guides or porters. The routes are clear, with plenty of places to stay, eat and drink along the way. Most importantly, you cannot walk at your own pace. The larger the group, the more likely there will be people who struggle to keep up. And there will be others who feel that not enough progress is being made. The big advantage of going independently – by which we mean couples or small groups of friends – is that you are much more likely to find a happy compromise. What’s more, you can adapt your schedule to take account of changing circumstances. This being South Asia, there are some bureaucratic hurdles you have to deal with before you can head to the hills. 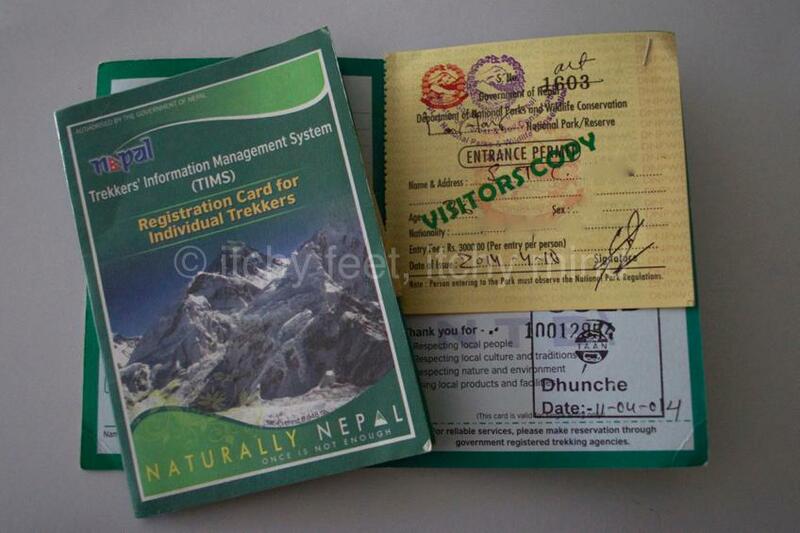 The first step is to get a Tims (Trekkers’ Information Management System) card, which costs the equivalent of US$20, payable in Nepali rupees. Although Tims is supposed to be a national registration system, you must buy a new one for each area you trek in. 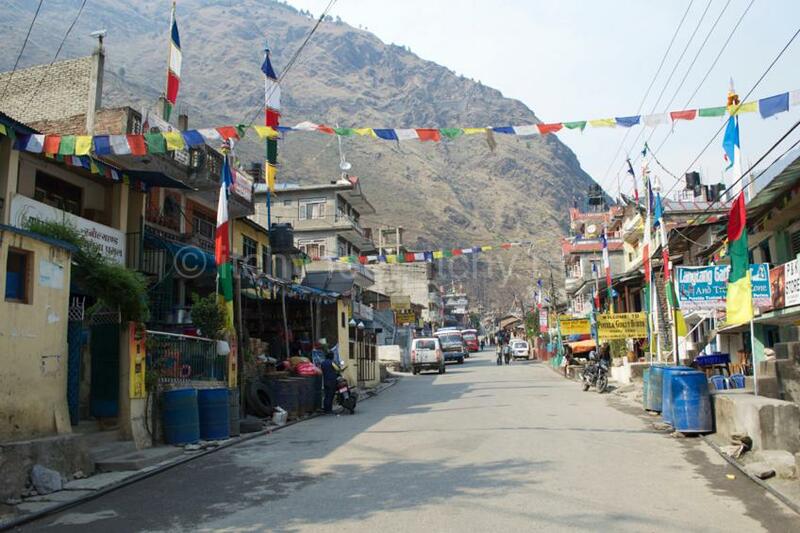 If you are planning to visit Langtang, the only place you can get a card is in Kathmandu, at the Nepal Tourism Board’s Tourist Service Centre, on Durbar Marg. Follow this link for map and contact details. Once you have your Tims card, you can go to the Langtang National Park office in the same building, and get your park permit. This costs 3,000 rupees per person (May 2014), and covers all the major trails, including Langtang, Gosain Kund, and Helambu. Fifty US dollars may not seem like a huge amount to pay to walk through some of the most wonderful scenery in the world. And we would not begrudge it if the money raised went either to the communities in and around the park, or to maintain the trails. 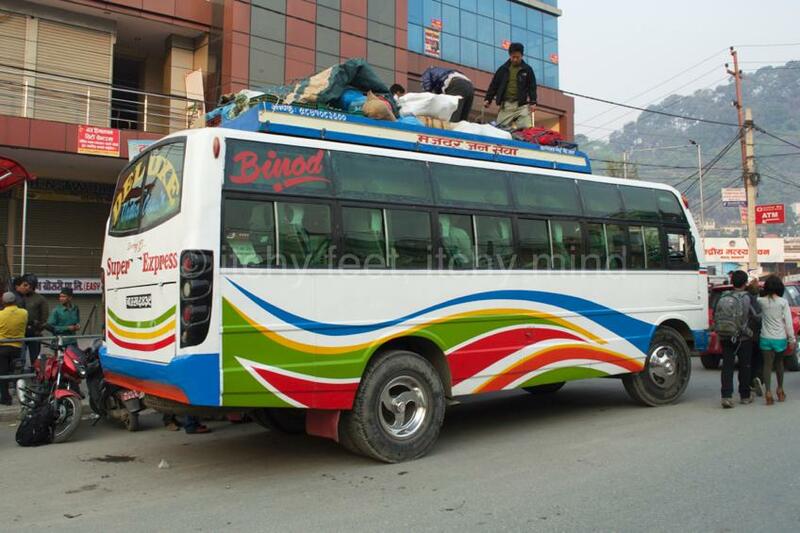 But as far as we can tell, the vast majority of the cash never leaves Kathmandu. Speaking of cash, accumulate as many small denomination notes as you can, before heading off to Langtang, or any other remote areas for that matter. 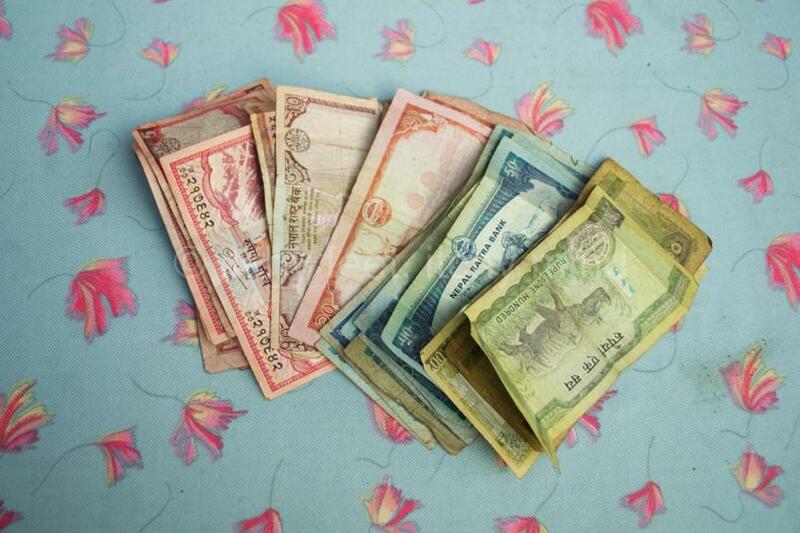 Breaking large notes is far easier in Kathmandu and Pokhara than elsewhere in Nepal. Building up a healthy stash of salty and sweet snacks for your trek is also recommended. Stock up too on water purification tablets, as they will not only save money while you are trekking, but also reduce plastic waste. 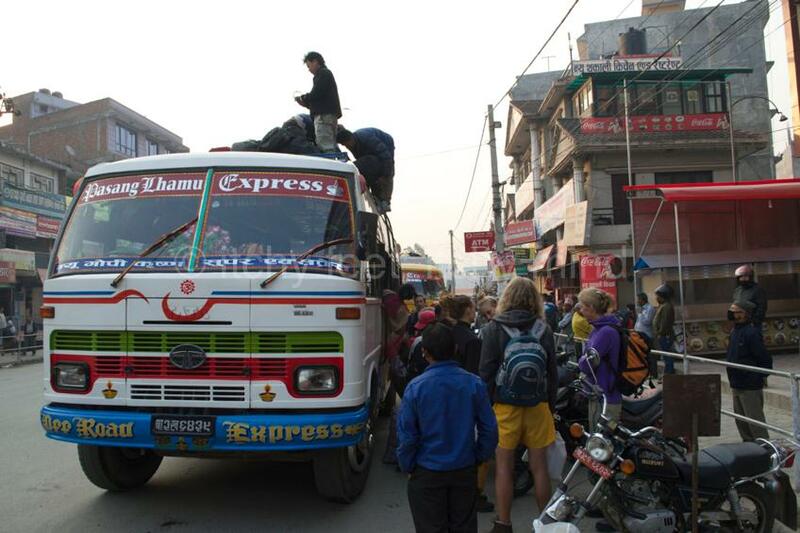 Talk to tour companies in Nepal, and they are likely to fill you with horror stories about using the “15 hour” public bus to Langtang. They no doubt hope these tall tales will persuade you to take an organised tour, and if that fails, to hire a jeep, for the princely sum of US$150-200 each way. 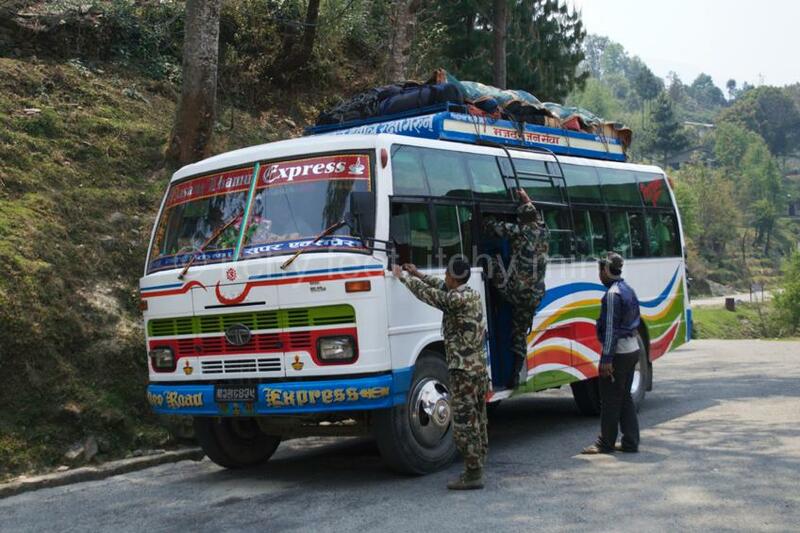 Fortunately, there is a perfectly good alternative – the super express bus – which leaves every morning at 7am, takes about six hours to reach the two main trailheads for Langtang National Park – Dhunche and Syabru (Shyaphru) Besi – and costs just 500 rupees! Tickets for the super express bus must be bought at least a day in advance, and more than 48 hours if possible. The only place to buy tickets is at a small wooden shack (pictured below), next to the junction where the buses leave from. 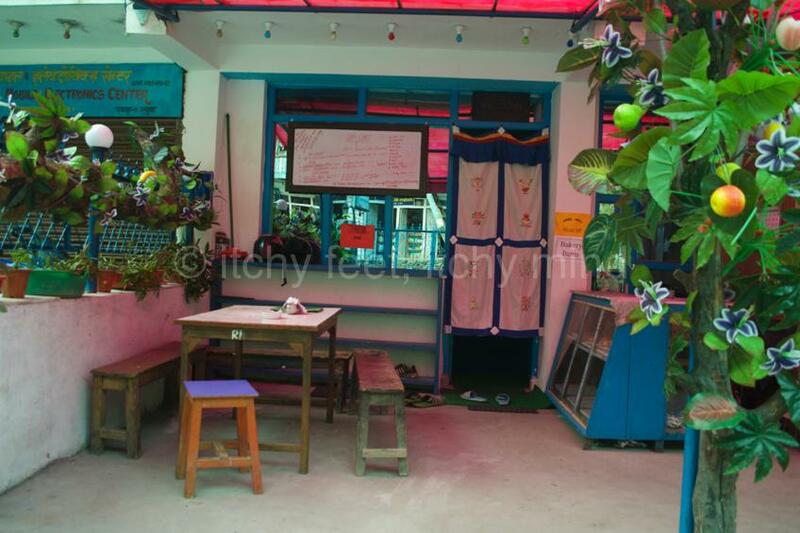 The junction – known as Macha Pokhari – is a few hundred metres from Kathandu’s main public bus station station, Gongabu. Use the bridge to cross over the ring road, and you should be able to see Macha Pokhari on your left hand side. Here’s a map of how to get there. 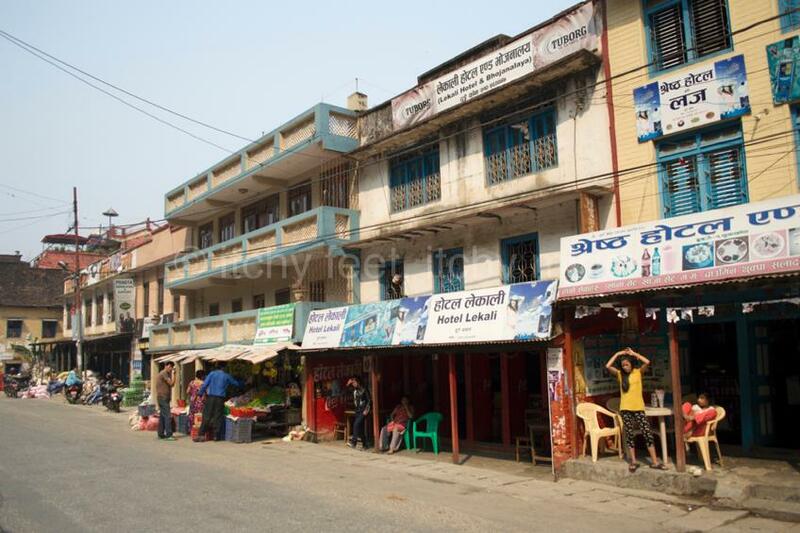 A taxi from Thamel should cost no more than 300 rupees. The super express bus operates a strict one person, one seat rule, unlike the normal public bus. While this does not guarantee acres of leg room, or luxurious comfort, it does mean that you are unlikely to have a goat on your lap. We are big fans of goats as a rule, just not on long bus journeys. There’s no real need to stock up on food for the journey, as the lunch stop comes at 9.45am. And even if the drive thus far has generated a healthy appetite, we would advise strongly against over-stuffing yourself. We will explain why shortly, but first a reminder of why booking a ticket on the super express is really worth the extra money (200 rupees), compared to the normal public bus. Travellers who have taken this option are divided over whether it’s worse to be cramped up inside with livestock and screaming babies or sat on the roof clinging on for dear life. But it’s fair to say that neither is an entirely pleasant experience. One thing to say for the rooftop option is that you have no shortage of spectacular views. The Trisuli Valley through which much of the journey passes is stunningly beautiful. So lovely in fact that you can forget for whole seconds at a time how terrified you are. 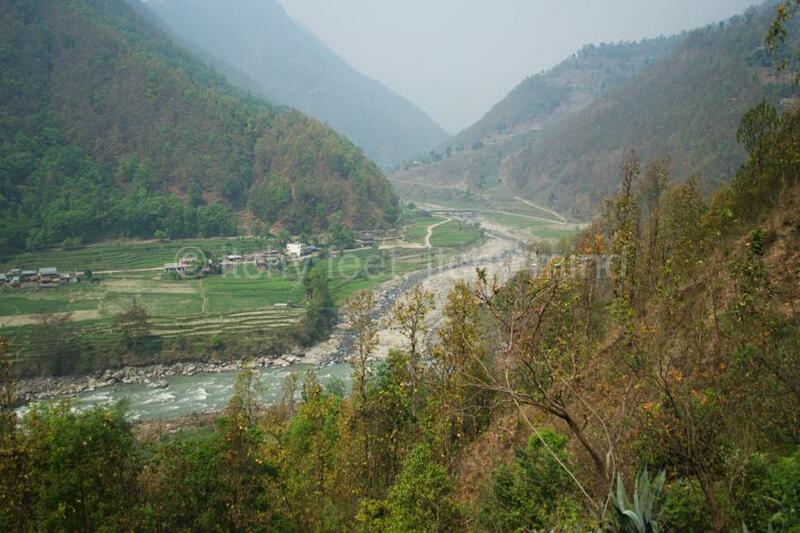 There is no way round this: the road between Kathmandu and Syabru is seriously frightening. Passengers deal with this in two main ways: keeping their eyes shut, in the belief that what they cannot see, cannot hurt them; or alternatively, staring fixedly out of the window, so as not to miss their seemingly inevitable demise. Have a look at the following video if you think we are exaggerating. Now, it is worth pointing out that while this journey is undeniably terrifying, it is not necessarily as dangerous as it seems. That’s largely because the drivers know both their bus and this road extremely well. We say road, but for large stretches it is completely lacking in road-like qualities, such room for two vehicles to pass, or tarmac. The best way to tackle this journey is the same way you would a rollercoaster ride, by assuming that it’s much safer than it looks. You may even be able to take in the scenery, without shaking with fear. There are several army and police checkpoints along the journey, which tend to be more of a pain for locals than foreigners. That is so long as you have your passport, with a valid visa inside. 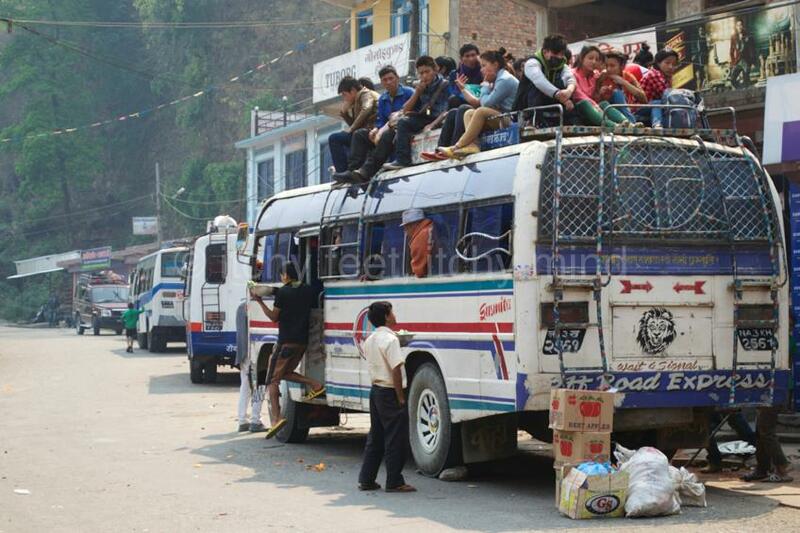 The only time you will have to get off the bus is just outside Dhunche. You will not be allowed to continue with your journey if you do not have a valid Tims card. 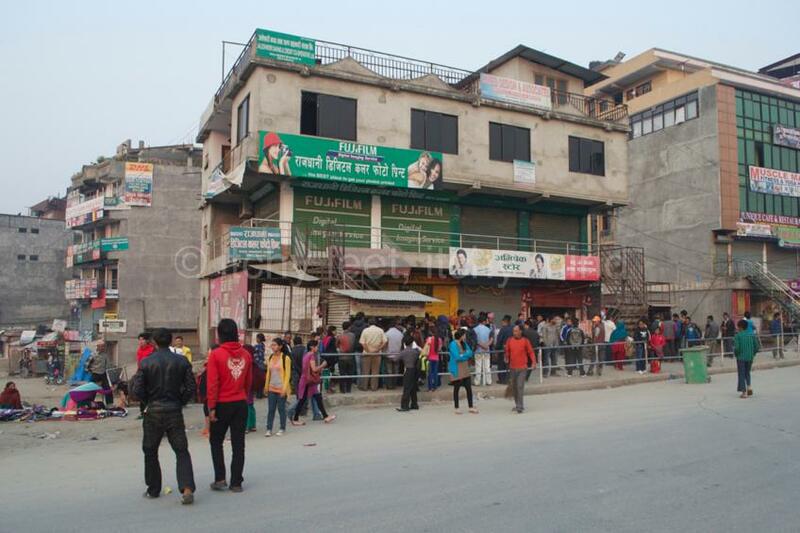 Even though it is possible to buy your national park permit at the checkpoint, we would urge you to get all relevant documentation sorted in Kathmandu. After the horror of the journey – and this holds true for jeep passengers as well – arriving in Syabru Besi comes as somewhat of a relief. Most people get there early afternoon, giving the choice of staying in the village overnight, or heading straight for the park. Both options have something to recommend them. Staying overnight in Syabru Besi provides a chance to grab some home comforts, like hot showers and 24-hour electricity (there’s a hydro power station nearby). It also enables you to make a bright, early start the following morning. 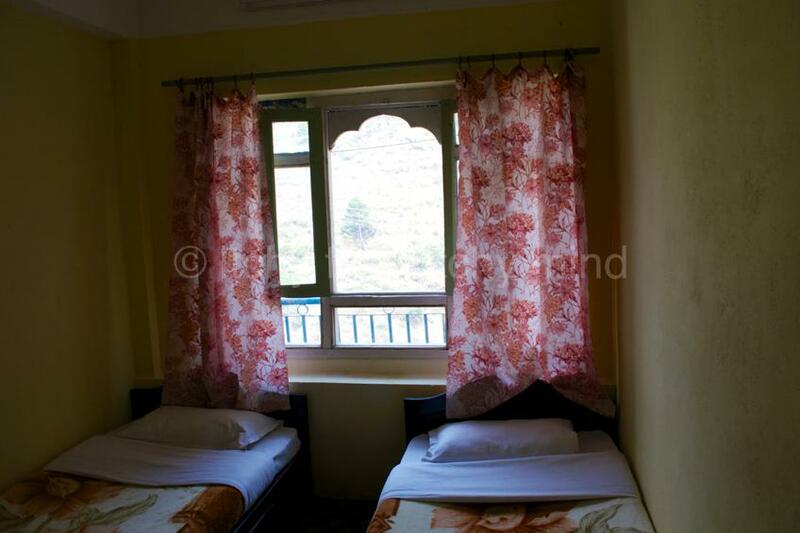 While accommodation is good value in Syabru Besi, with clean, ensuite rooms going for about 500 rupees a night, the same cannot be said for food and drink. The guesthouses have a price-fixing cartel going on, and can get quite nasty if you choose not to eat where you are staying. Fortunately, a restaurant opened in March 2014 – the White Palace – which offers a warm welcome, tasty food, and decent prices. We just hope the lovely people who run this place stick to their guns and do not give in to pressure from the guesthouse mafia. As we mentioned earlier, another option is to head straight off on your trek, without spending the night in Syabru Besi. Getting a couple of hours walking in that afternoon will make the first full day of the walk more manageable. And if you are lucky, you will be treated to views of snow-capped mountains, right from the start. 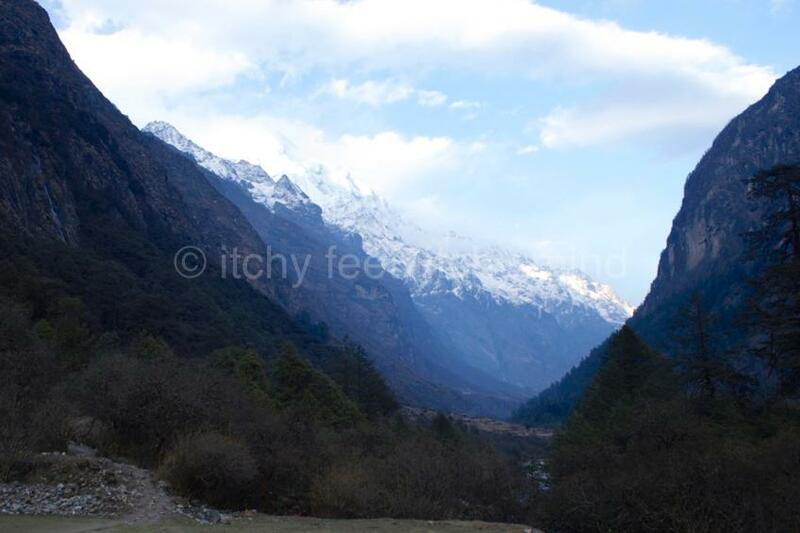 If you enjoyed this piece, then you may well like A day by day guide to the Langtang Trek.